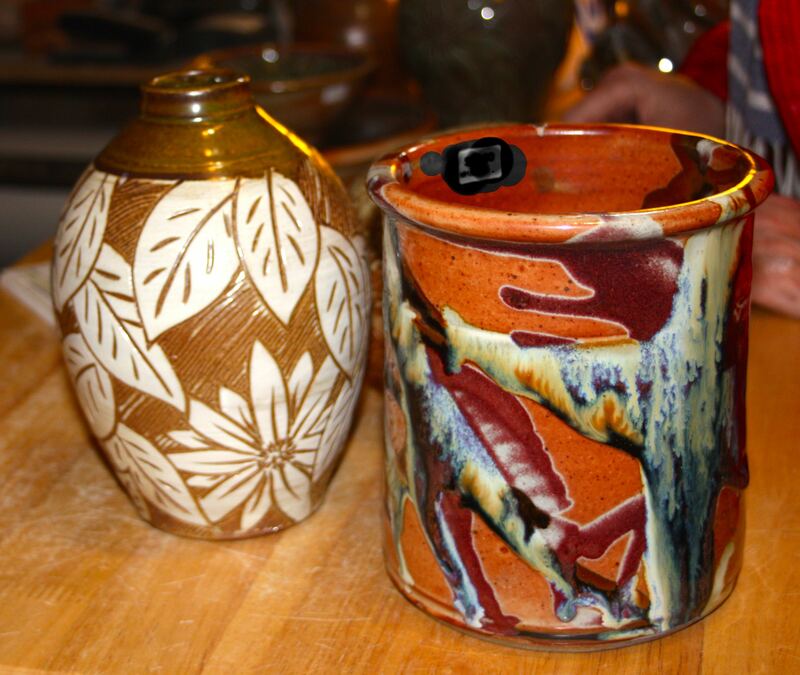 These are just two of the beautiful ceramics hand made by Michele Hastings (left) and her husband Jeff Brown (right) at their studio on the Pottery Highway in Seagrove NC. There’s actually a little hamlet nearby called WhyNot and I have to agree: why not? Treat yourself to some well formed and beautifully designed pottery. I was surprised at how affordably priced their exquisite work is, also. The best part is if you are coming to High Point International Furniture Market this is a short 45 minute drive to clear your head and get inspired again. Check out these artist’s websites if you can’ t get there in person. This entry was posted in Uncategorized and tagged art, ceramics, craft, fun things to do around the triad nc, Katy Allgeyer, pot heads, pottery, pottery highway north carolina, Scott Morgan, what to do when you come to high point market. Bookmark the permalink.